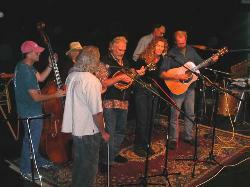 A variety show broadcast live the last Saturday of each month, featuring the Beerman Creek String Band, the Troll, Stinky Toadwort, the Troll Radio Theater Troupe, and guests. Be part of the live audience upstairs at the Fort George Brewery in Astoria. Podcasts: Past programs are available as podcasts, below. Sorry; tapes and transcripts are not available. ON AIR: The fourth Saturday of the month, from 11:00am-Noon, on KMUN and KTCB. (Skinnamarink airs at this time on other Saturdays). Listen online! Visit the Troll on Facebook!